Huacachina is a small village in southern Peruvian desert oasis, in South America. Lakes, sand dunes, buildings, pools and greenery, the place is somewhat unusual and attracts many tourists. We present you this beautiful place. 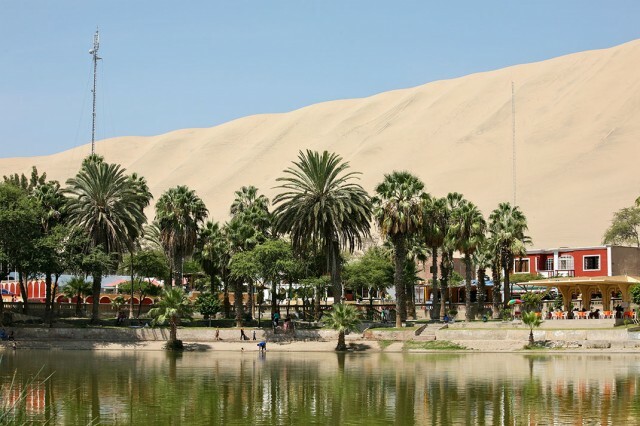 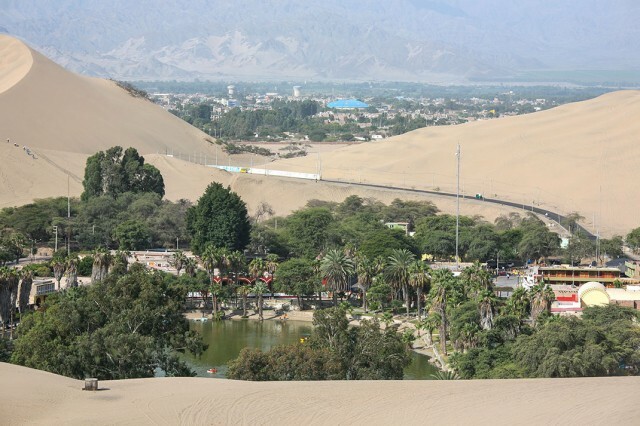 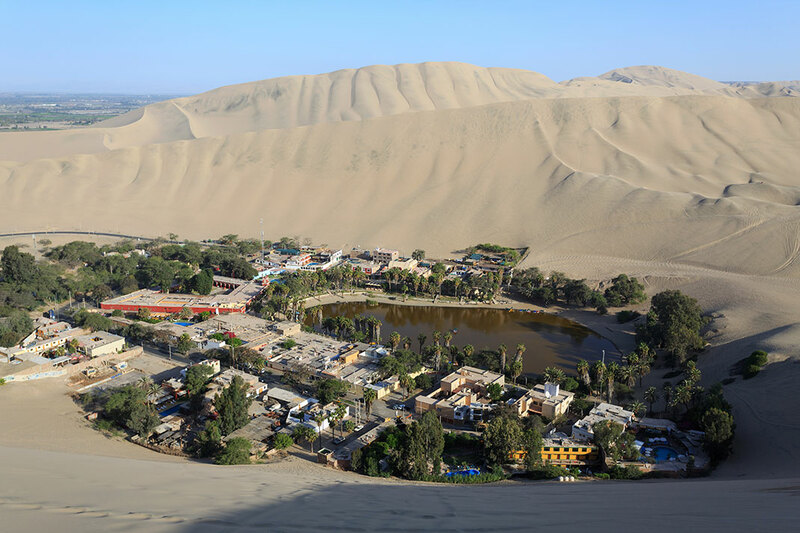 The town of Huacachina is located around a small oasis in a desert of the Ica region. This is a village live of less than 200 inhabitants, in part came from the city of Ica. 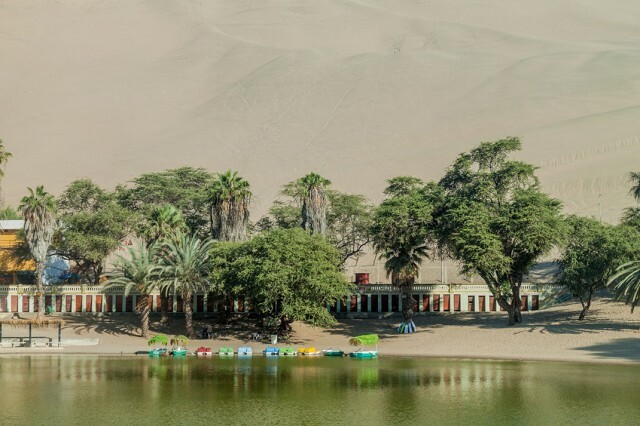 This small lake is the second oasis of the continent. 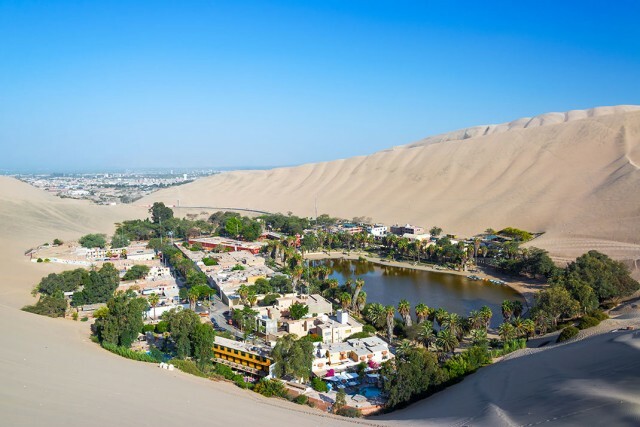 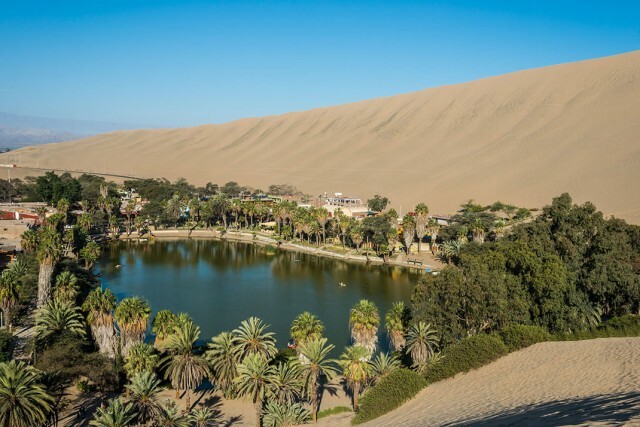 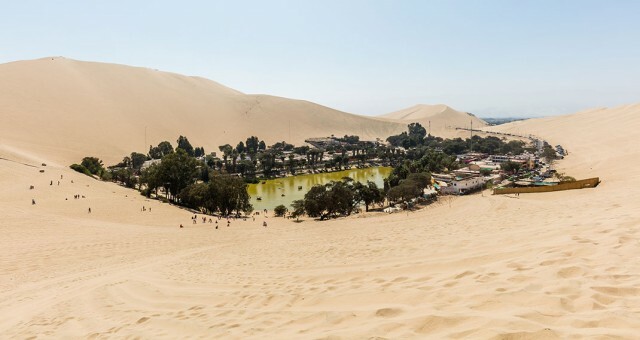 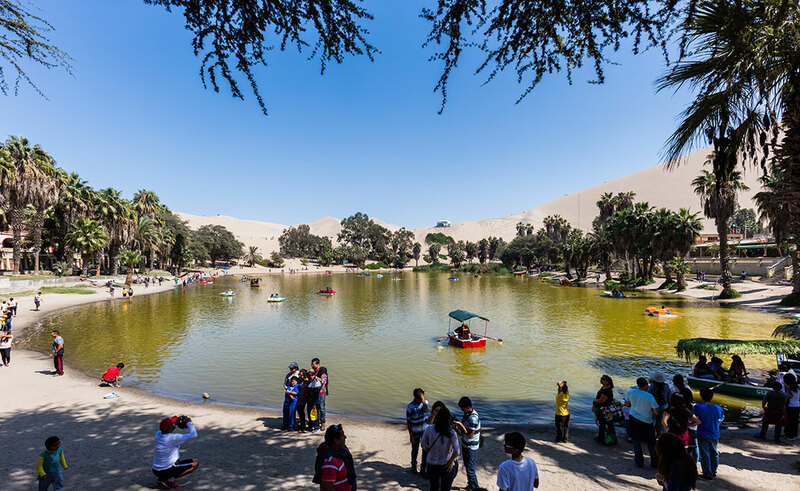 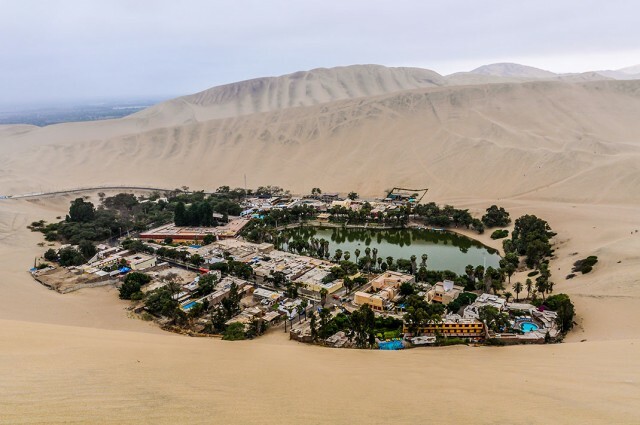 According to a Peruvian legend, a princess once took refuge in the oasis of Huacachina to escape the hunters. When she came into contact with water, the vegetation would have pushed around her.The legend also says that the dunes are due to marks left by the folds of robe of princess. 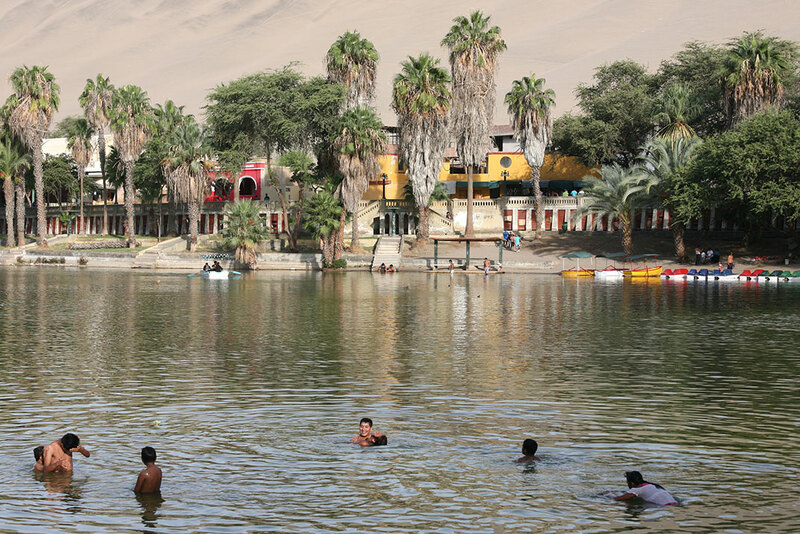 Even today, some say that the Princess is a ghost that continues to swim in the lake water. 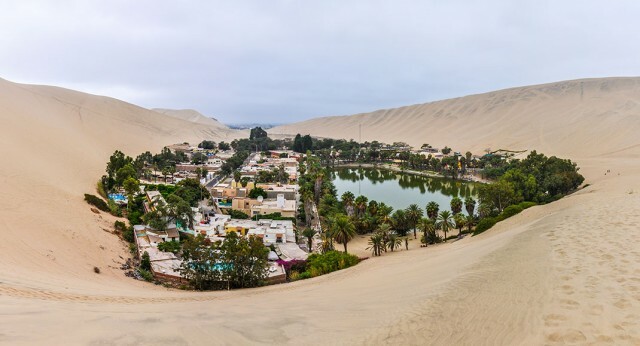 This village is as beautiful as surprising! 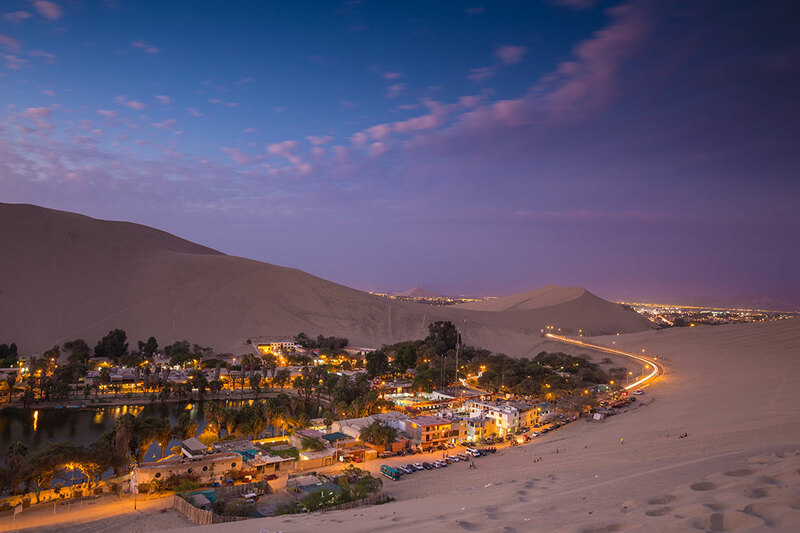 And that’s why this gem attracts many tourists every year.